Investment Europe's Milan Forum 2019 is set to take place on the 8 of March at the Four Seasons Hotel for the ninth consecutive year. Five leading asset management groups including Acadian, Comgest, Eurizon Asset Management, La Financière de l'Échiquier and Vontobel will treat an audience of around 35 Italian fund selectors to a wide range of investment topics. Some of the speakers that will be joining the Forum include Stéphanie Bobtcheff, senior portfolio manager Small & Mid-Caps at La Financière; Thierry Larose, executive director and senior portfolio manager at Vontobel Asset Management; or Luca Sibani, head of Discretional and Total Return Investments at Epsilon SGR. In addition to the usual conferences held at separate and intimate boardroom sessions, this year's event will also include a panel discussion formed and moderated by female selectors on the occasion of International Women' s Day. Various topics including diversity in the industry, ESG and a general overview of all asset classes are likely to be some of the matters discussed. The panel session will count on three women from the fund selection industry in Italy and will be moderated by Sara Silano, Morningstar Italy's managing research editor. 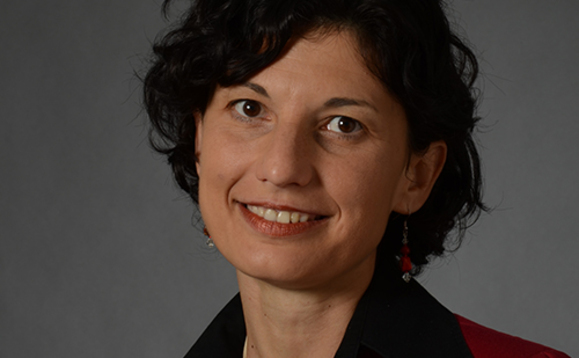 Silano joined Morningstar in 2003 and holds her current role since 2012. She has a deep knowledge on mutual funds, ETFs and pension funds. Moreover, she is part of the Morningstar ESG Thought Leadership Team responsible for raising awareness of sustainable investments through financial education, editorial contents, research, media and events. She has been a member of the steering board of Italy SIF/the Italian Sustainable Investments Forum (SIF) since 2017. The Forum brings another novelty this year since CFA Society Italy will be its main educational partner. "CFA Society Italy has determined that Investment Europe's Milan Forum 2019 qualifies for two CE credit hours under the guidelines of the CFA Institute Continuing Education Program. "If you are a CFA Institute member, CE credit for your participation in this program will be automatically recorded in your CE tracking tool," the Society said. CFA Society Italy was founded in 1999 as a non-profit organisation of investment professionals who agreed to abide by the CFA Institute Code of Ethics and Standards of Professional Conduct. Although it was created in 1999, the Society changed its name to the Italian CFA Society (ICFAS) in 2005 and in 2012 to CFA Society Italy.